Rishta is an ayurvedic tincture, like wine, with alcohol content not more than 12%. Owing to this, it can transfer those substances, which cannot be dissolved in water. Alcohol works as a media. Concentration of active substances in rishta is much higher, than in powder forms, so is its efficacy. Bala rishta is a great medicine for conditions, caused by Vata imbalance. It is a tonic for nervous system, and it heals many nervous disorders. 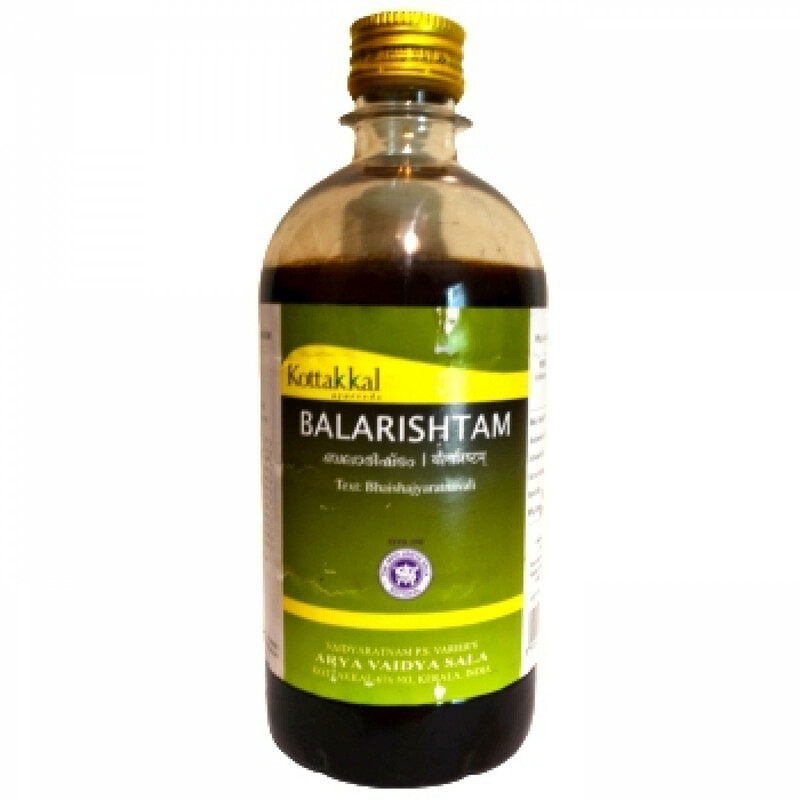 Besides, Bala rishta has a regenerative impact on many tissues, it strengthens bones, muscles, joints. Bala rishta is a good sedative as well. Owing to its deep nourishing effect, this medicine is also used in reproductive system disorders, including infertility, both in men and women. Dosage: 1 tablespoon twice a day after meal. Or as prescribed by physician. It can be mixed with equal amound of water, if needed. Content: Bala, ashwagandha, Payasya, Panchangula, Rasna, Ela, Prasarini, Devapushpa, Usira, Svadamshtra, Dhataki, Guda. Side effects: overdosing or taking this medicine on empty stomach may cause stomach irritation and indigestion. Contra indication: during pregnancy and for children under 5 years- only under supervision of a physician. During lactation period- in lower doses, as prescribed by physician. Expiry date: none, as medicine efficacy increases with time.